Foot Locker Inc said its net income increased more than expected as the company waves its CEO goodbye. 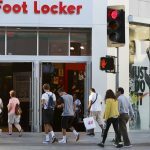 Ken Hicks, 61, announced that he would retire from its position as CEO at the end of the month and be replaced with Richard Johnson, Foot Locker’s current chief operating officer. 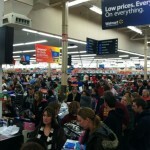 However, changes at the top of the company may concern investors as Foot Locker goes into the holiday season. Under the leadership of Mr. Hicks shares have increased more than four times since 2009. 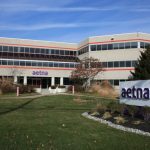 Net income for the three months ended November 1 increased to $120 million, or $0.82 earnings per share, versus last year’s result of $104 million in net income and $0.70 earnings per share. “The team at Foot Locker has produced another very strong quarter, marking our 19th consecutive quarter of meaningful sales and profit growth” said Mr. Hicks. Foot Locker generates around 75% of all its business from footwear sales. However, with obesity concerns in the U.S there has been an increased focus on fitness wear has made women’s athletic and yoga wear a growing area in retail. In order to tap further into that segment Foot Locker has made a bid in July for Lorna Jane, an Australian maker and seller of women’s workout clothing. The company already owns a chain of Lady Foot Locker stores that offers yoga and running equipment. 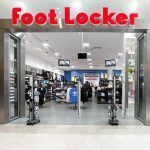 Last year, Foot Locker increased its store numbers by purchasing Runners Point Group, a German online retailer that specializes in athletic footwear. Same-store sales increase of 6.9%, boosting overall sales to climb to $1.73 billion, 6.7% higher from last year’s result of $1.62 billion. Excluding the effect of foreign currency fluctuations, sales for the third quarter gained 7.7%. 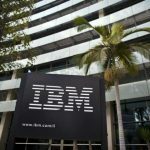 Analysts polled by Thomson Reuters projected earnings per share of $0.79 on a revenue of $1.72 billion. The company’s gross margin ratio increased to 33.2% of sales, up from the 33.1% in the third quarter of 2013, while expense rate improved to 20.4%, down from the 21% in the same period of last year. “It will be a tremendous privilege to lead the organization as we leverage our strengths” said Mr. Johnson. “In pursuit of the exciting opportunities we have identified to grow and improve the business in the near and long term.” he added. 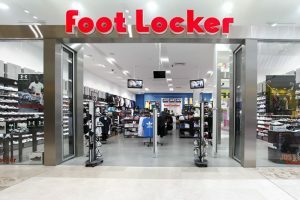 Foot Locker Inc gained 1.44% on Thursday and closed at $57.00 in New York. On Friday the stock lost 1.65% to trade at 56.01 at 15:06 GMT, marking a one-year increase of 52.50%. The company is valued at 8.19 billion. According to CNN Money, the 20 analysts offering 12-month price forecasts for Foot Locker Inc have a median target of $60.00, with a high estimate of $66.00 and a low estimate of $54.00. The median estimate represents a 7.12% increase from the last price of $56.01.